Monoject™ plastic version. 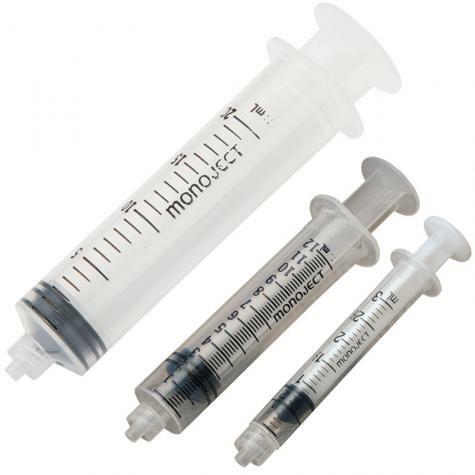 Luer-lock hub syringes used for vaccinating animals. Remember: 1 ml is equal to 1 cc. For livestock use only. just the syringe is perfect. I use a variety of needle sizes depending on medication used and size of animal.